Now is the hour to apply to host one of the fabulous AFSers for now. AFS Intercultural Programs partners from 90 foreign countries. Full scholarship students are still available. Go to http://www.afsusa.org/host to view mini-bios. They are all fully medically insured and have a variet...See MoreNow is the hour to apply to host one of the fabulous AFSers for now. AFS Intercultural Programs partners from 90 foreign countries. Full scholarship students are still available. Go to http://www.afsusa.org/host to view mini-bios. They are all fully medically insured and have a variety of interests and talents. Locally, contact Jeffery Burtner at jburtner@afsusa.org or 800-237-4636 ext 2207. for more info and a full application. Please, share with your school folks. Language school franchise opportunity for language teachers. 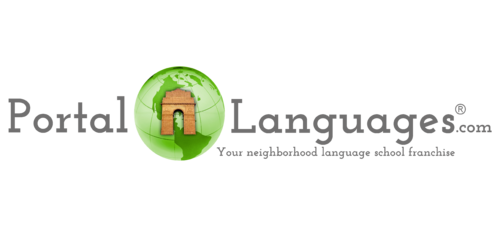 Experienced franchiser committed to helping you develop your own Portal Languages school. E2 Visa. Are there any language teacher looking to own their own language school franchise? Take a look at http://www.portallangaugesfranchise.com. Hi everyone, I'm new here. My name is Daniel and I started a website that provides free Spanish material a while ago (spanishlistening.org). Now I'd like to create material following the topics that are taught in classes. Can anyone recommend a list of subjects or a place where I can get the information of what topics are covered at which grade? ...See MoreHi everyone, I'm new here. My name is Daniel and I started a website that provides free Spanish material a while ago (spanishlistening.org). Now I'd like to create material following the topics that are taught in classes. Can anyone recommend a list of subjects or a place where I can get the information of what topics are covered at which grade? The Outbound Sponsored Programs (OSP) team is happy to announce that the 2019-20 National Security Language Initiative for Youth (NSLI-Y) application is now available online. Please join us in spreading the news about this U.S. Department of State program that provides merit-based summer and year-long scholarships for eligible high school students ...See MoreThe Outbound Sponsored Programs (OSP) team is happy to announce that the 2019-20 National Security Language Initiative for Youth (NSLI-Y) application is now available online. Please join us in spreading the news about this U.S. Department of State program that provides merit-based summer and year-long scholarships for eligible high school students and recent high school graduates. The NSLI-Y program provides merit-based scholarships for eligible high school students and recent high school graduates to learn less commonly taught languages in summer and academic-year overseas immersion programs. The program immerses participants in the cultural life of the host country, giving them formal and informal language practice and sparking a lifetime interest in foreign languages and cultures. Summer and academic year programs are available for Arabic, Chinese (Mandarin), Hindi, Indonesian, Korean, Persian (Tajiki), Russian, and Turkish. The deadline to apply for NH19 programs is October 30, 2018 at 4:00 pm ET. More information about the program and application can be found at http://www.nsliforyouth.org. Please, be sure this is posted on your school's resources like web sites. Be sure it is not confused with college scholarships..
My name is Ramon Diez Galan, I work as a Spanish teacher. Recently I have published a book for students who are preparing SIELE exam. I think it might be of your interest. The book can be used also for prepraring DELE exam, wich is really similar to SIELE. It has a los of exercises for all levels, so you can also use them for your classes. Hi, I am pursuing a spanish teacher career. I'm currently working toward a BA with a spanish major and I just want to know if I'm on the right track. After I obtain my BA, I'm planinng on getting my a teaching certificate. Can you guys share your path to becoming a spanish teacher?